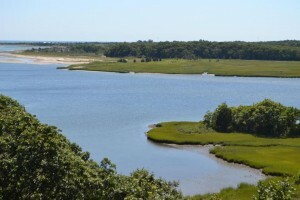 SOUTH DARTMOUTH — One of the best kept secrets in Southeastern Massachusetts is the Lloyd Center for the Environment, 82 acres of forest trails, freshwater wetlands, salt marsh, and estuary in South Dartmouth (430 Potomska Road, off Rock O’ Dundee Road, www.lloydcenter.org), about 80 minutes by car from Boston. Visits to the tranquil trails and an observation deck that delivers stunning views of the Slocum River, Cuttyhunk Island, and on a clear day, Martha’s Vineyard, are free of charge. For those seeking more adventure, the center offers kayak and canoe tours and nature walks for adults and children for a modest fee. The Lloyd Center has just one location. The site was donated to the Dartmouth Natural Resources Trust in 1978 by Karen Lloyd as a living memorial to her mother, Katharine Nordell Lloyd of Dartmouth. Since then, the Lloyd Center has grown into a regional site for environmental research and natural science education. It is the only area organization focused on educating the public about coastal and watershed issues, and conducting research on coastal ecosystems and endangered species. The hiking trails are the sparkle in this hidden gem, each with different levels of difficulty and different rewards along the paths. The Osprey Point Trail is .2 miles, ending with a scenic view at Osprey Point of the Slocum River and Demarest-Lloyd State Park. Ospreys are spotted here in summer and fall. The Chaypee Woods Trail is .5 miles and winds around and through stone walls that are relics of the region’s farming days. 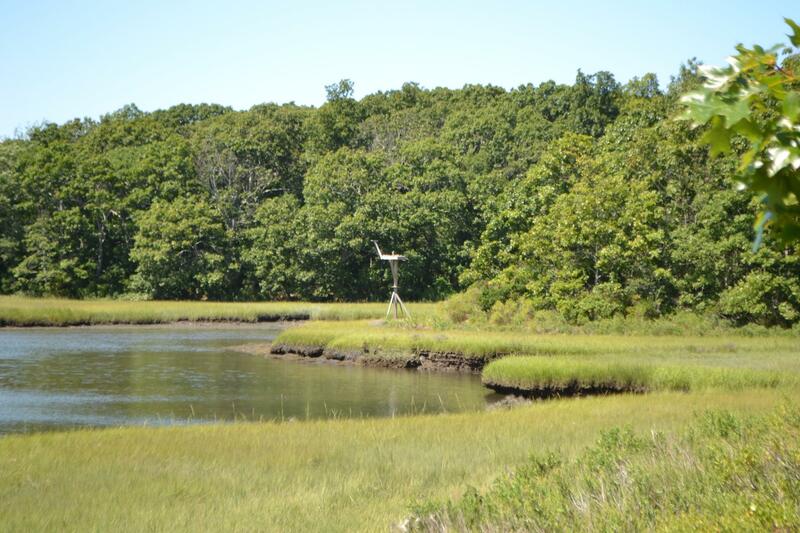 Steep steps and slopes offer vistas of the salt marsh, the fresh- and the saltwater. .3 miles, begins and ends at the Lloyd Center’s driveway. The trail is level, high, and dry for its entire length with spotted turtles and salamanders in the open water of the surrounding swamp. 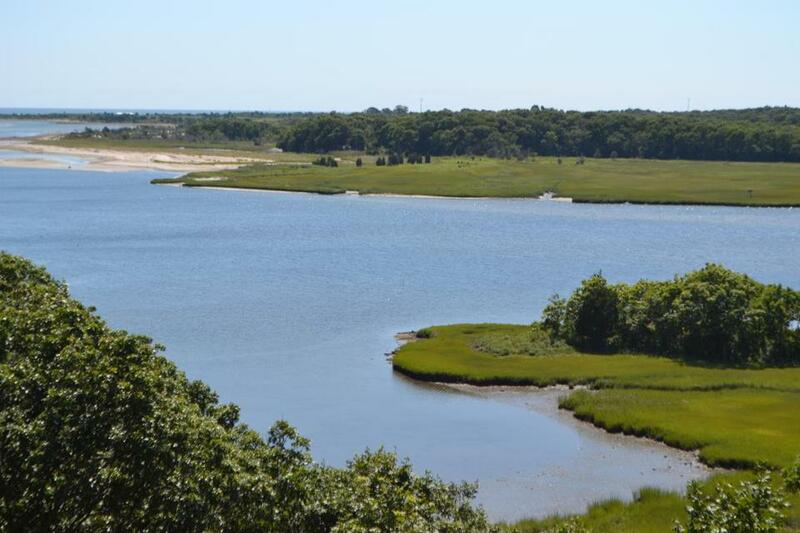 Hardscrabble Farm Loop Trail at 1.6 miles is the longest and newest trail, snaking through woodland habitat with vistas of the salt marsh and the Slocum River. It connects with the Chaypee Woods, Osprey Point, and the West Swamp Trails. The trails are open and free to the public, dawn to dusk, 365 days a year. They’re great places for dog walking, as the site allows leashed dogs everywhere and unleashed dogs before 10 a.m. and after 3 p.m. with certain courtesies expected if children and inexperienced hikers are in the area. Guests can pick up trail maps at the visitors’ center (10 a.m.-4 p.m. Tue-Sat October-May, Tue-Sun June-September), which also has restrooms and exhibits. A highlight of the Lloyd Center is the Observation Deck, atop a staircase in the visitors’ center. The wraparound deck offers near panoramic views of the Slocum River, including basking harbor seals in winter and migrating birds in spring. Besides maps, restrooms, and gift items, the visitors’ center houses several exhibits that provide a hands-on experience for children. Fish, turtles, amphibians, and reptiles can be handled in touch tanks located on the two lower floors. Wall cases display butterflies, dragonflies, and other insects. Other permanent exhibits include marine mammal skeletons that hang from the ceiling: a pilot whale, harbor seal, Atlantic white-sided dolphin, harbor porpoise, and leatherback turtle skeletons are located on the first floor. 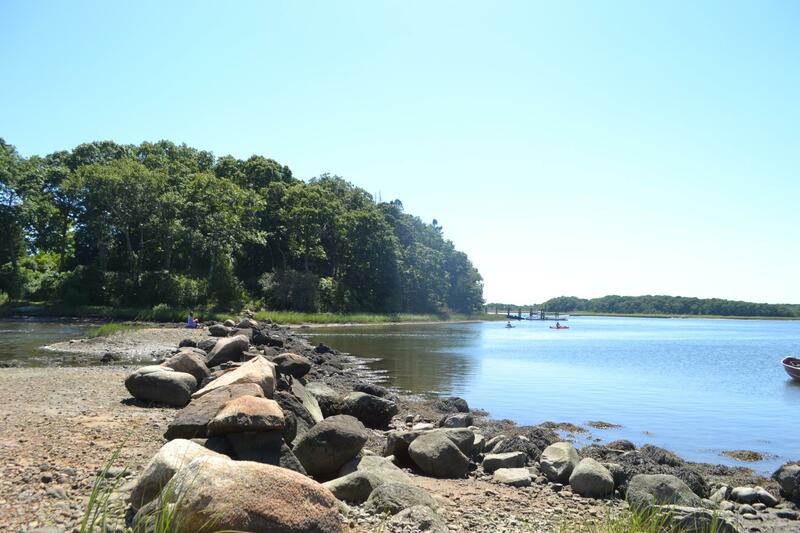 The center offers regular kayak and canoe excursions throughout the Buzzards Bay Watershed for both beginners and more seasoned canoeists and kayakers. Fees for all trips include equipment rental and instruction. Upcoming events include the Taunton River Fall Foliage Canoe Trip on Oct. 19, led by a pair of researchers from the center. Participants will be transported to two of the most scenic rivers in Southeastern Massachusetts, the Taunton and Nemasket, for peak foliage. On the way to or from the center, take a little extra time to check out the rural beauty of South Dartmouth. Not far from the Lloyd Center is Alderbrook Farm (1213 Russells Mills Road), a quintessential working New England farm that spans over four generations of the Manley family whose ancestors founded it in 1898. There are well-cared for horses, sheep, donkeys, pigs, and chickens roaming free for kids to see up close on the 16-acre property. The Alderbrook farmstand offers fresh fruits and vegetables, farm-raised eggs, cheese, honey, sweet corn in season, coffees, breads, jams and more, with payment for produce on the “honor system” in the form of a metal cash box on the counter. It’s a trip back in time. Nearby is the Apponegansett Meeting House (856 Russells Mills Road), a 1791 Quaker house placed on the the National Register of Historic Places in Bristol County in 1991. A historical cemetery is on the grounds.